Private equity refers to the process of raising funds for a business through institutional investors rather than through the stock market. These could be high net worth individual investors, pension funds, endowments or insurance companies. 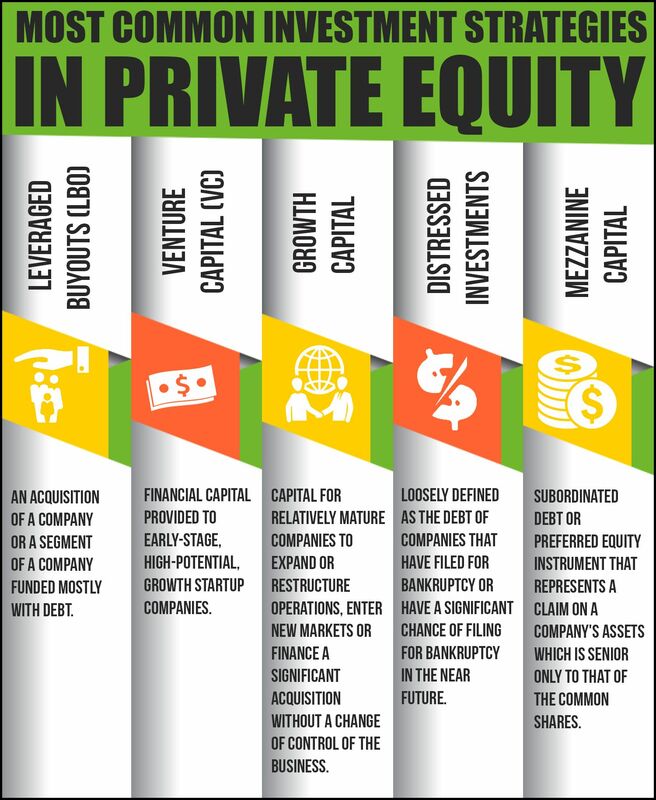 Private equity investment is usually used to help companies at the start-up stage or those more mature companies who are ready for expansion to grow and develop. The Seychellois entrepreneur Mukesh Valabhji has a wealth of experience across all the various types of private equity investment. Among his many business interests, Mukesh serves on the board of Crimson Investments, a global private equity firm which focuses on investment in companies with an EBITDA of between $5 million and $40 million looking to expand within the global market and achieve their full potential. Mukesh Valabhji images will soon be available, representing his many business interests in hospitality, trading, media and telecommunications and much more. Here Mukesh looks at the most common private equity investment strategies. Venture capital investment refers to those investments which take place at the beginning of a new company, typically within the first three years, in order to fund the start-up and early stages of business development. In the US venture capital is considered a separate entity to private equity but in Europe, although venture capital is a very specific component, it is nonetheless categorised within the bounds of private equity. Venture capital funds offer cash-hungry new businesses with little to no track record of profitability but the potential to achieve more the opportunity to ensure that all relevant resources are in place in order to succeed. A leveraged buyout is where a private equity fund acquires a company of a sector of a company in a transaction funded mostly by financial leverage or debt. Generally companies which attract this type of private equity are those which are already mature and generate operating cash flows. In a leveraged buyout, a financial sponsor agrees to acquire all or part of a company but without committing all the required capital. The cash flows of the business are then used to make interest and principal payments on the acquisition debt. The amount of debt used varies greatly from business to business and will depend on aspects such as willingness of lenders, interest costs of the debt and the demonstrated ability of the business in question to fund those costs, state of the market and financial history and condition of the acquired company. Typically, the leverage will range between 60% and 90% of the total purchase price. Growth capital refers to investments which are typically made in mature companies seeking the financial backing for expansion or restructuring without creating a significant change in management. These funds may be used to acquire a competitor or part of a supply chain, to expand into new global markets, to fund a site roll-out, for product development and marketing or for the purchase of significant new capital assets. Companies seeking growth capital do so at a time when they are planning a significant transformational event. While venture capital funds the initial stages of starting a company, growth capital is aimed more at mature companies with a proven track record of profitability requiring the capital to drive growth. The growth capital investors will typically claim an ownership interest and in some cases a contractual return such as interest payments. Hedge funds and other investors who are prepared to take on a large risk for a potentially huge return may consider distressed investments. This is where the investor places their money with a company which has filed for or is likely to file for bankruptcy in the near future due to large amounts of debt. The risks are high, yet should the investment provide the boost the company needs to pull back from the brink the returns have the potential to be massive. Distressed debt can be sold for a very low par value percentage. If the company then recovers, the once-distressed debt can then be sold on at a considerably higher price than it was bought for. As the risks are so high, this form of investment is only really suitable for experienced large investors or groups of investors such as hedge funds. Mezzanine capital financing can be defined as debt capital which gives the lender the right to convert to equity interest or full or partial ownership under the circumstance that the loan cannot be fully repaid according to the terms and conditions set out. It is typically used to fund rapid expansion in a mature company which has a proven history of profitability, a good track record in terms of reputation and product standard and a viable plan for expansion. Mezzanine lenders will usually provide capital relatively quickly without recourse to due diligence and without a requirement for collateral from the borrower, which means the loan attracts extremely high interest rates in the range of 20% to 30% of the loan amount. On a company balance sheet, mezzanine financing is counted as equity, which can often make it easier to obtain other forms of finance or credit. This entry was tagged Investment Strategies, Private Equity, Venture Capital. Bookmark the permalink.